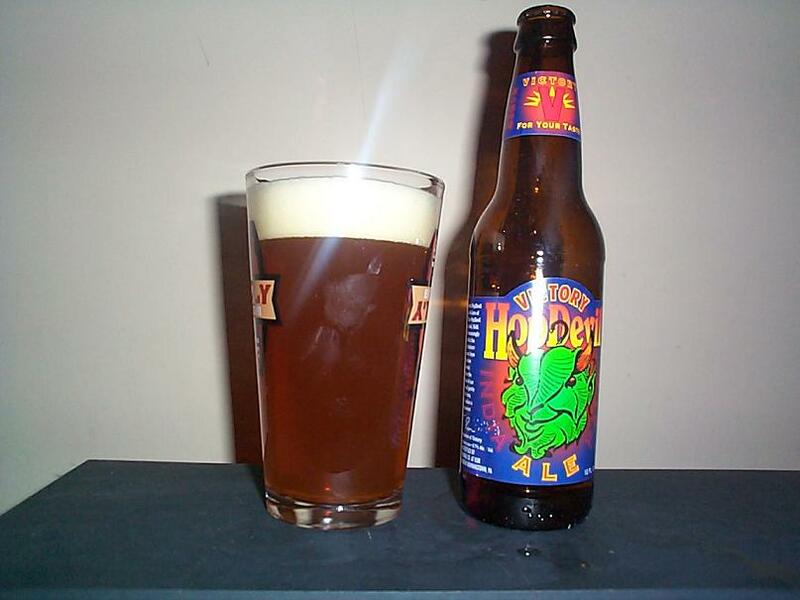 Here I have a nice glass of Hop Devil, an IPA from Victory Brewing Company out of Downingtown, PA. Though I have only been able to sample a few, Victory has yet to disappoint me with the creative spin they put on their impressive line up of craft brews. 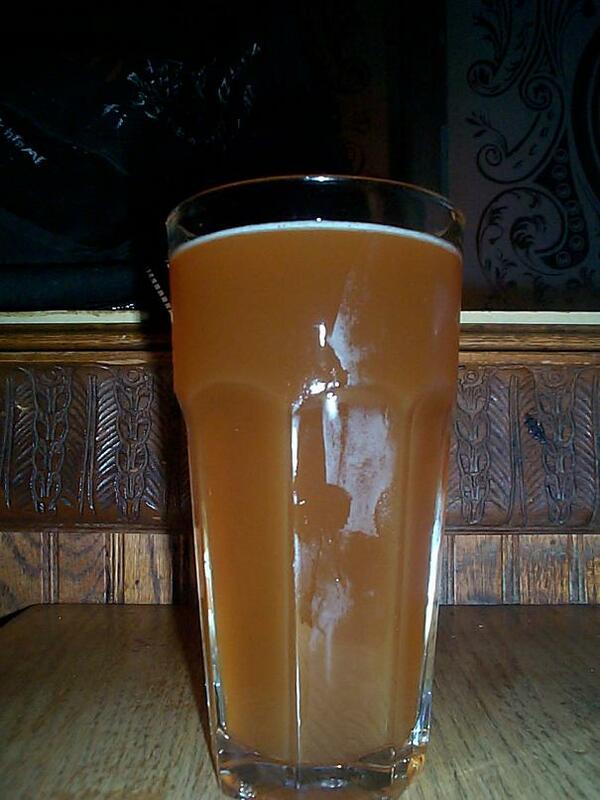 This ale is a rather light red hue that has no sediment but is very opaque, head is about an inch and off white in color. Aroma is full of hops, grapefruit and some bitterness as well as a nice malt backbone. The flavor is no surprise, bitter hops are up front accompanied by more floral hop flavors with a nice hint of malty sweetness rounding off the flavor of this beer. The 6.7% ABV of this beer is no real surprise but is nicely masked by the robust hop flavors in this brew. Mouthfeel is average for an IPA and the body is light as well. Definitely a beer I could drink a lot of, luckily I have a few more in the fridge. As the name suggests this is certainly not the drink for those afraid of a hop filled brew but a grand choice for us hopheads. Give it a shot and ride your bike. 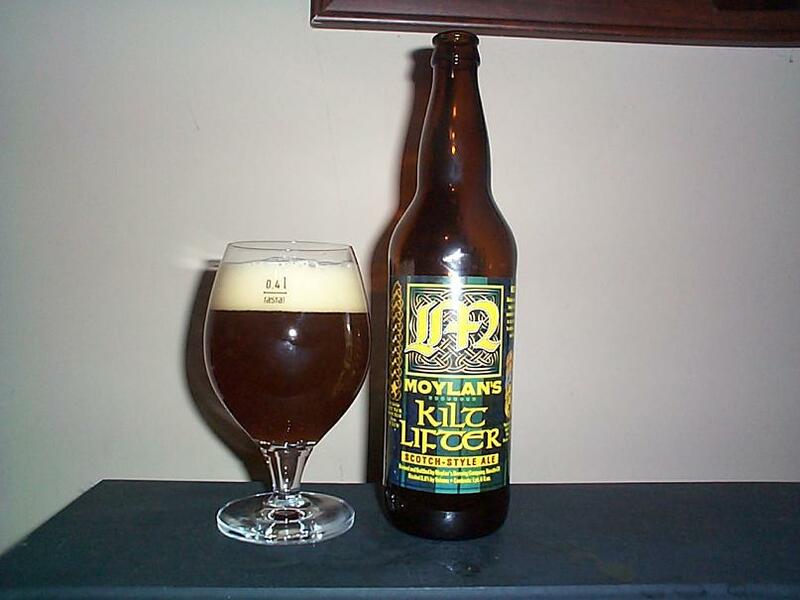 Moylan’s Brewery from Novato, California crafts a number of award winning big beers that I have wanted to sample for some time. I had the opportunity to taste a few at the Autumn Brew Review but by that time of the day my ability to properly critique beers had diminished to say the least. Good times, but next year I will need to write a lot more down, or perhaps bring a audio recording device. After venturing to Surly Brewing yesterday for some growler action, we were both happy and sad to see them sell out of growlers by 12:30. At the time we got in line (~12:20) they were left with only bender, and a very limited amount at that (they appeared to be selling only 2 per person). After waiting in line for a bit a friend was lucky enough to get the last growler which we shared and then being a Saturday, hopped back on our bikes and proceeded to get proper reserves at Broadway Liquor Outlet en route home. I picked up some Surly Furious and Cynic Ale, as well as a bottle of Avery & Boulder Brewing’s Collaboration Not Litigation Ale and the ale we are here to talk about Moylan’s Kilt Lifter Scotch Style Ale. Though this ale has a large visible warning on the side stating “Live Ale! – Keep Refrigerated” I found this brew sitting on a shelf at room temperature. As this store has only recently started stocking much craft beer I can pretty safely assume it was only on the shelf for a short period of time, hopefully it hasn’t had the opportunity impact the taste too much. This beer pours a light brown color somewhat like a date with some nice red colors coming through when brought to light. Produces a bit over an inch of light tan head that settles within a couple of minutes. Aroma is marvelous, dates, raisins, and maybe plums are most dominate rounded off with some malt and a bit of alcohol. The flavor is similar to the aroma but the malt is much more prevalent. 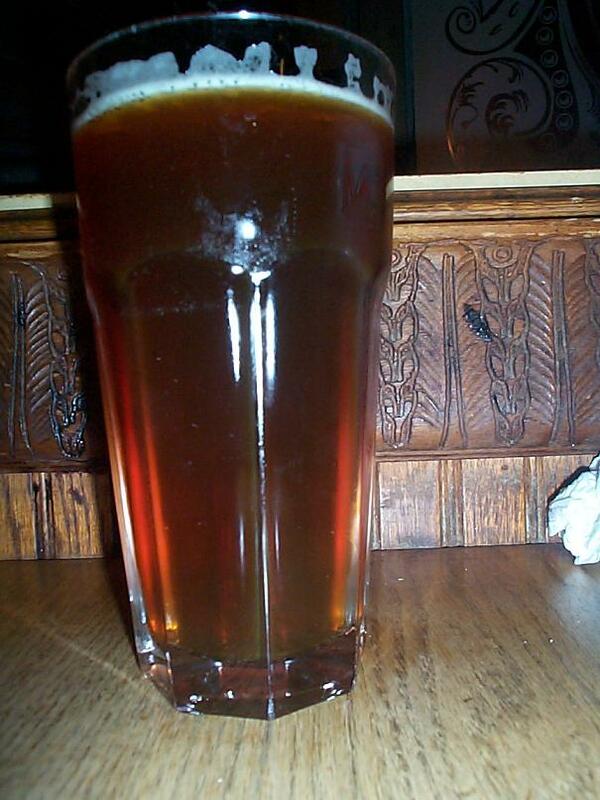 Smooth malt flavors are accented by fermented pitted fruit flavors that create a very balanced ale. Body is relatively light and the mouthfeel is very smooth making this a very easy to drink strong brew. Thought this ale is 8% ABV you will likely not notice until you drink your fair share of it because the lightly caramelized malts and robust but balanced dark fruit flavors completely overpower any alcohol flavor that could be present. This is a wonderfully delicious ale, if you enjoy a balanced malty brew with fruit hints this will be a wonderful accompaniment for your next meal. Give it a shot and ride your bike. Here are some interesting posts that I have come across in the past month. First from Jay Brooks we have a very cool alcohol based art exhibition and then a lovely commentary on beer and taxes in California. So many people have posted the Buddhist temple built from beer I don’t know who to give credit to, but here it is anyhow thanks to Tree Hugger. 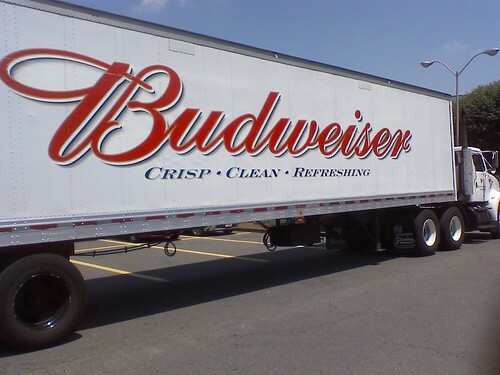 And lastly we have a humorous post from Knut Albert about silly coyotes trying to smuggle immigrants in a fake piss beer, I mean Budweiser truck. Today we have some beer from a brewery I have wanted sample for some time. Brew Dog from Fraserburgh, Scotland produces unique, craft brews out of the UK and doesn’t care if you drink piss beer and don’t appreciate their brew, or their beer labels, which have produced some astoundingly absurd controversy that makes it easy to loose a little more faith in humanity and how those in power want to “protect” us. On to the important stuff. 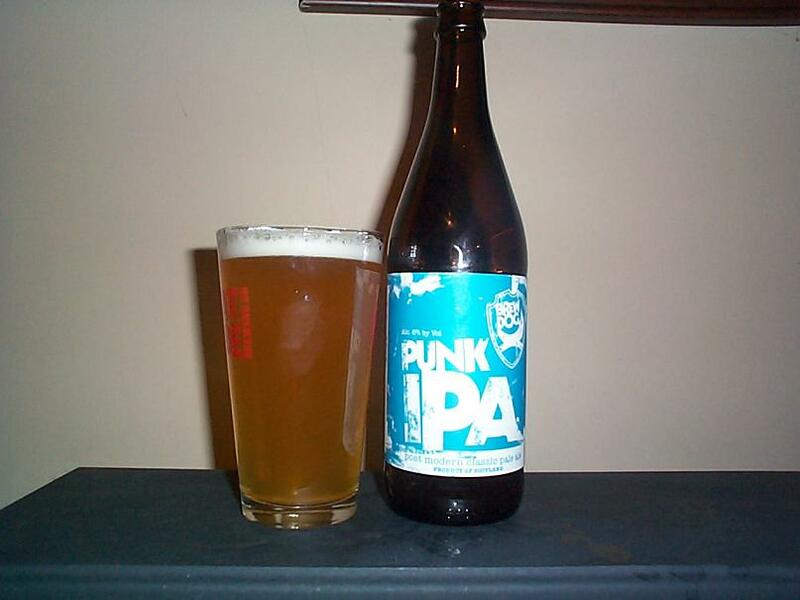 Punk IPA pours a surprisingly light orange yellow color, producing less than a half inch of white head that dissipates rapidly. Aroma is full of citrus and floral hops, grapefruit and orange are identifiable as well as a slight bitter alcohol scent that reminds me a bit of wine. The flavor of this ale is very intriguing. Citrus hits the tongue first followed up by a light but surprisingly dominate bitter kick. Some of the light flavors in this ale throw me off a bit because it is not what you get in a typical American IPA, but from what I have learned this seems to be typical of brews from the UK. The bottle states “Post modern classic pale ale” and I must say it’s a pretty straight on description. The body of this beer is very light for an IPA and the mouthfeel is rather clean. If you like a hoppy ale that is big on citrus and aren’t afraid of some bitter accents this would be a dandy choice. I wish Brew Dog the best in their struggles against Alcohol Focus Scotland and the Portman Group as well as any other regulatory bodies they may have to deal with in the future. Give it a shot and ride your bike. So I’m terrible at posting in a timely fashion sometimes, particularly on occasions where I drink a lot of beer, and two Thursdays ago was no exception. This was the week of Dark Horse Brewing Company’s release parties and I felt obligated to sample some of the brew they were bringing into our fine city from the land of Michigan, so my friend Mike and myself took a nice, slightly brisk bike ride down to Stub & Herbs to meet fellow bike and beer enthusiast Dirtyspeed of Friday Night Beer. Dirtyspeed and myself initially ordered glasses of Dark Horse’s Trip Ale and mike grabbed a glass of their Crooked Tree IPA. When they were brought to us I was initially surprised by the similarity in color of the two brews, the IPA has a slightly more red hue, but they were darn close. The Sapient Trip pours a hazy orange color that has no obvious sediment but it is completely opaque, there was little head present when I received my lovely 22oz glass but I am curious to see how it pours from a bottle. Aroma is like that of many Belgian Tripel Ales, the yeast is noticeable but not too strong in the nose. Smooth slightly sweet malt flavors blend nicely with a hint of bitterness. The mouthfeel is carbonated but rather dry, body is quite light for a Tripel. Definitely a good beer, simple but solid, particularly with its 8.5% ABV. While snapping photos and taking notes like the geek I am mike managed to finish his beer and wound up with a Two Brothers Heavy Handed IPA at the suggestion of Dirtyspeed. Never having sampled this brew I gave it a taste and immediately knew what I needed to order next. Two Brothers Brewing Company from Warrenville, Illinois has been on my radar for some time but this was the first opportunity I had to sample some of their brew on tap, and I am happy to say I was very pleased. Their Heavy Handed IPA pours a nice deep red color. Aroma is hoppy but only slightly bitter. Flavor is a nice blend of initial sweetness that is very subtle, finished off by wonderful hop flavors that lean towards the bitter side but are not particularly intense, no tongue burning here. 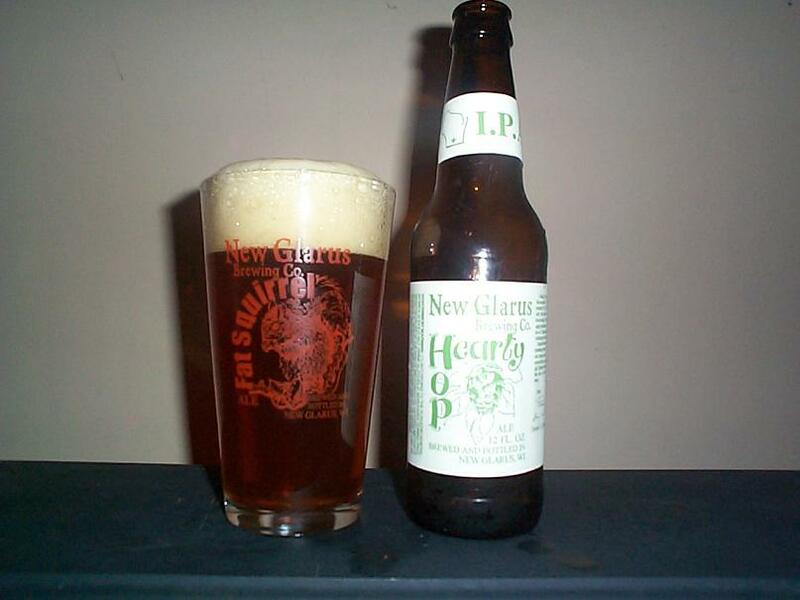 With its full flavor this beer is still very drinkable, having a rather light body and smooth mouthfeel. A unquestionably delicious ale. Coming in at 5.7% ABV this is a great beer to drink all night long, and that’s exactly what we did. 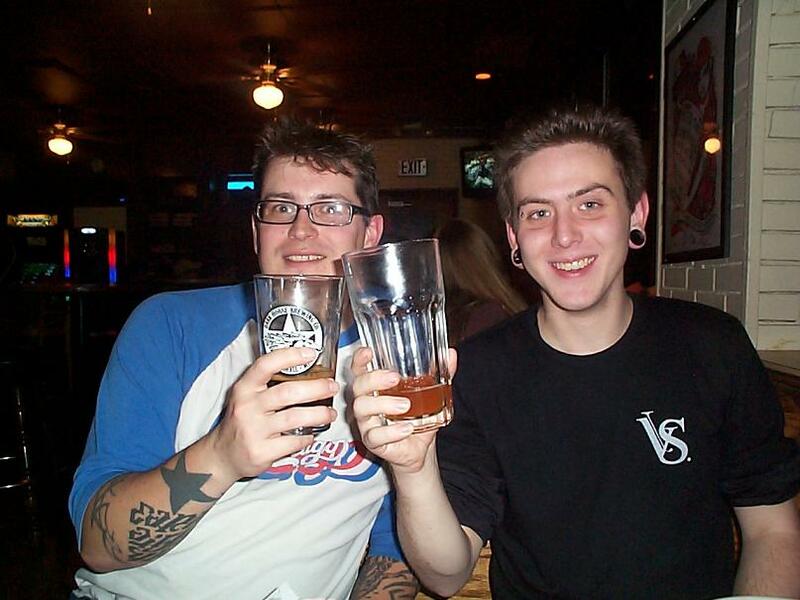 Cheers to stubs for having $4.50 22oz taps after 9pm on Thursdays. 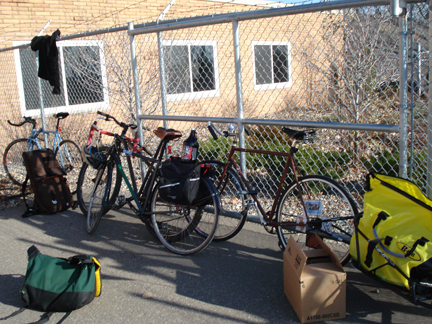 Happy to have sampled two tasty new brews, particularly the IPA we had a fun, much less chilly ride home; freedom is the only way. Give em a shot and ride your bike. Today we have a lovely craft brew from the fine folk of Brau Brothers Brewing Company from the small town of Lucan (Population 220) in the wonderful state of Minnesota. Brau Brothers is an up and coming brewery that has started widening their distribution and can now be found at a number of bars and liquor stores in the metro area and beyond. I managed to sample a few of their brews at the Autumn Brew Review but have yet to have the opportunity to give one a proper review. So when I saw a 6-pack of Ring Neck Braun Ale, their first single batch series ale (868 cases and 32 kegs produced), I couldn’t pass it up. This Nut Brown Ale pours a nice roasted brown color that allows varying shades of brown, black and red through when brought to the light. Head is under two inches and fades quite rapidly, leaving a thin light tan layer of froth that remains throughout consumption. Smells of well roasted malts, subtle nuttiness, and gentle hints of creamy fruit. The flavor of this ale is very smooth and creamy, roasted malts are dominate, complimented by a subtle nutty flavor you expect from an ale of this style as well as a subtle fruit hint that reminds me of peach and raspberries. The aroma of this beer does wonders, bringing out the somewhat sweet and smooth flavors of this ale immensely. Brau Brothers call this beer a Double Nut Brown Ale because of its 7% ABV but you likely won’t notice it’s content until you’ve had a few. The mouthfeel of this beer is creamy but the body is reasonably light and quite drinkable. 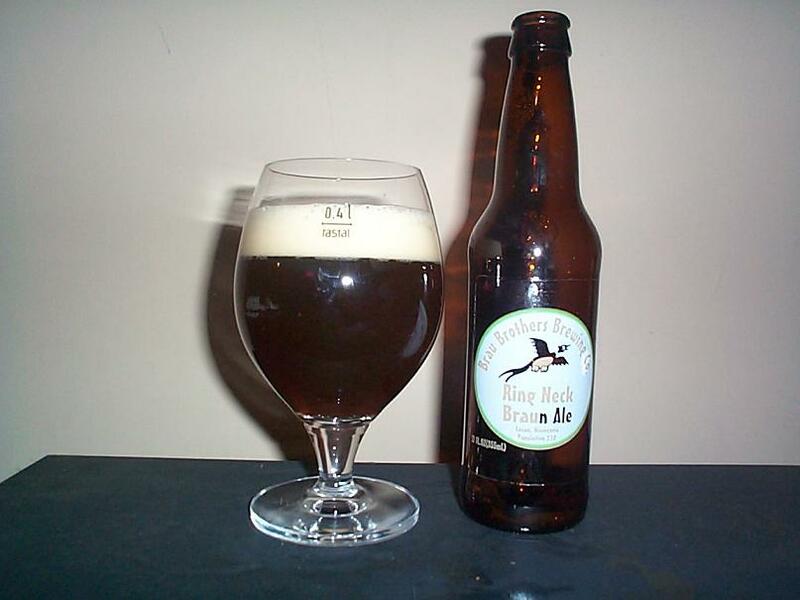 Definitely not your average Nut Brown Ale, but a wonderful creative creation. If you are a fan of dark ales, particularly a nice unique milk stout you will likely fancy this ale, as will those who appreciate brown ales that don’t quite fit the mold. A good drink in any situation and a wonderful treat for those who appreciate quality craft beer. Give it a shot and ride your bike.